A website run by Idaho neo-Nazi Scott Rhodes has distributed a new set of racist robocalls to Florida voters targeting the state’s Democratic gubernatorial candidate, Andrew Gillum. Black spiritual music plays in the background, and a monkey screeches occasionally to refer to Gillum, who is the mayor of Tallahassee. 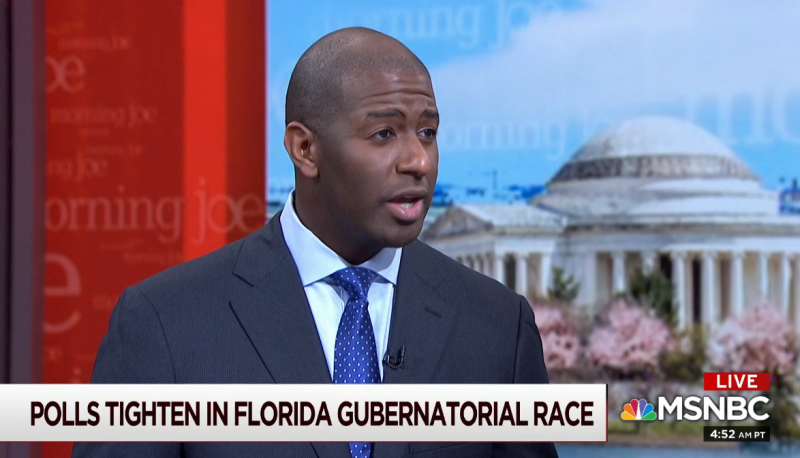 At the end of the robocall, a disclaimer says it was paid for by The Road To Power, a white supremacist website and podcast based in Idaho that sent out a similar call against Gillum in August, when he was running in the Democratic primary. The group has been linked to racist robocalls in Virginia, Oregon, California, Idaho, Iowa and Pennsylvania. HuffPost also posted audio of the call. Road to Power distributed a similar call with white supremacist messaging against Gillum in August. The calls are orchestrated by Rhodes, who runs a website called Road to Power that describes itself as “White Nationalist anti-jew.” Rhodes is vehemently anti-Semitic, using his site’s podcast to crank out pro-Holocaust propaganda and argue that black people are “incompatible with civilization.” Rhodes’ podcast has negligible reach, even among white supremacist circles, but Rhodes has managed to make headlines by sponsoring abhorrent robocalls to voters across the United States. Road to Power programming revels in white nationalist rhetoric, and expressions of pure racial hatred. For example, the video podcast’s opening sequence features an image of a “Jude” gold star on a pile of ashes and a cut-scene in one episode contains footage meant to depict black people being whipped by slave owners—set to the song “Whip It” by Devo. Right Wing Watch has documented Road to Power robocalls sent to California voters in support of neo-Nazi Patrick Little during his failed campaign for U.S. Senate. Little ran his campaign on a platform so extreme that he discouraged his supporters from using traditional means to donate to his campaign because campaign contributions are public record.